Just as with earthly fathers, I'm sure our Heavenly Father often thinks, "If only he/she had listened to me." 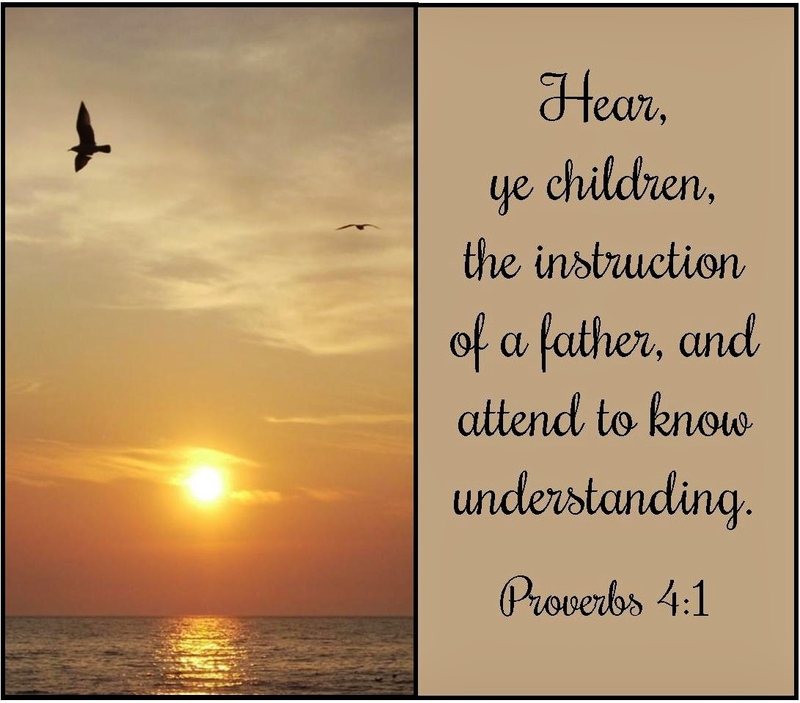 Let us all strive to hear the instruction of our Heavenly Father. This! These instructions are so dear. Happy Father's Day to you in Michigan! I hope the day is peaceful and full of appreciation. We're off to church and lunch and all things "dad" related that he wants to do today. Thank you for the reminder that though we might have our own children, we are all still God's children first. My hubby's daughter started his day off well with a nice phone call this morning. Sounds like your husband is off to a great day, too. We're thankful for our all-wise, loving, forgiving Heavenly Father. Beautiful! A wonderful Father's Day post! Wonderfully edifying Scripture verse and good reminder to most especially obey our Heavenly Father. Beautiful picture! Hope you and your family had a lovely Father's Day. Thank you, Kym. Sending your kind thoughts back to you!